Most people don’t think about bringing tables on their camping trips. Or, they think they are too burdensome or heavy. Fortunately, there are a lot of portable camping tables to choose from which you can pack and bring to our next outdoor camping adventure. Check out our top 5 list below to choose the table that is right for you. Best Choice Products is one of the leading companies in the market today that sells fold out camping tables and portable camping tables. 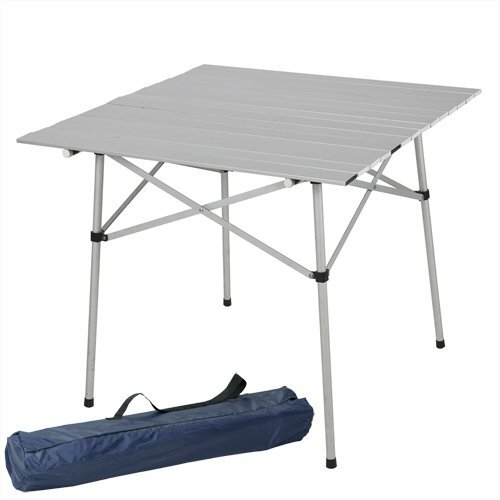 This aluminum roll up table is one of the highest rated camping tables in many online stores due to its durability and reliability.. It is made of heavy duty materials and can withstand up to 40lb of weight. 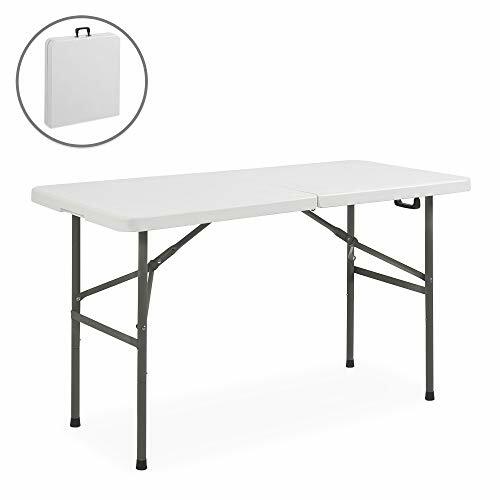 It is a water-resistant folding table that comes with its own travelling bag which makes it more appropriate and convenient for many different trips and travels. It is a little more expensive than the other competitors on this list, but it is well worth the money. In the list of the best camping tables, this one is the most lightweight weighing only 1.2lbs and capacity to hold up to 35lbs or 15kg. For me, that is pretty amazing since it is very compact and portable. It is easy to carry along with you on trips, especially those that require efficient and lightweight packing. Moreover, it is very durable since it is water-resistant and rust-proof. 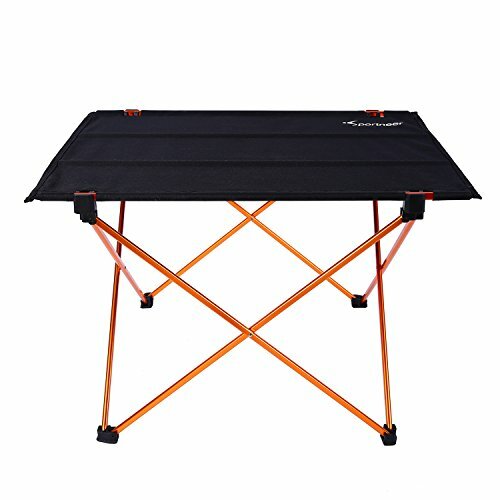 Sportneer Portable Camping Table is one of the best camp tables out in the market because of its features and affordability. Trekology is actually a manufacturer and producer of many different stylish and innovative camping equipment. They ensure the highest standards and utmost satisfaction of every user and consumer. 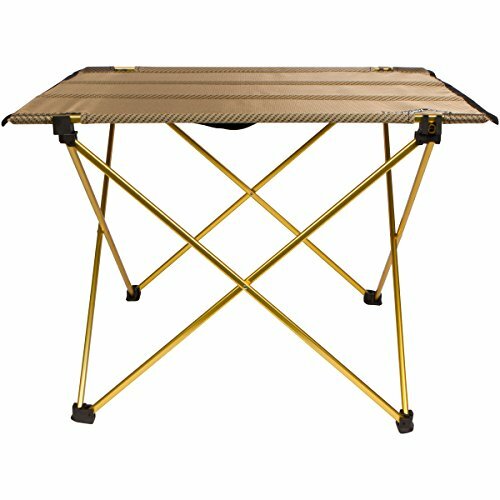 One of their top products is this ultra light camping table - it weighs 1.7lbs and can hold 50lbs. The nylon top is one of their innovations and it allows for a better and flatter surface for the table compared to other brands. The overall design and look is sleek and stylish and comes with a lifetime warranty so you won’t be disappointed. Although this roll-up aluminum camping table is on the expensive side, Timber Ridge ensures their users and consumers a foolproof camping table that is made for the outdoors. All of it’s materials are made from genuine aluminum that ensures the durability and strength of the table. Along the quality, it is foldable and easy to carry anytime and anywhere with its own travelling bag. On top of all that, it takes less than a minute from unboxing to setup. 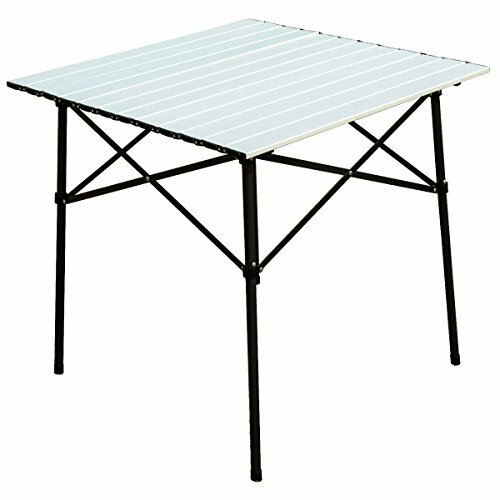 Another one that tops the list of the best camping tables from Best Choice Products is their plastic folding table. The top is made of highly-density polyethylene or HDPE making it clean and convenient. On the strength side, the legs of this table is made up of powder coated steel that allow it to carry over 300lbs, WOW! This table is heavy duty and can be used indoors and thrives in outdoor environments. Along with the others on this list, the product comes with a durable and portable traveling bag that allow you to carry it anywhere. Ultimately, all of these camping tables are made for convenience and can stand up to the heavy duty elements. With these choices for the best camping tables in the market today you can’t go wrong. Each product in this list is portable, durable, and lightweight making it perfect for outdoor camping, parties, or other activities. Now you have to decided which of these best camping tables is right for you.